Our panel explain everything you need to get started with Erlang calculations – from how to use them to what to watch out for when using this Erlang Model. 1. What is an Erlang calculation? Agner Krarup Erlang was a Danish mathematician who pioneered queuing theory and almost single-handedly invented the discipline of telephone network analysis and switchboard staffing. His pioneering work in 1920s Denmark led to the creation of the eponymous Erlang Formula, which was adopted by the Bell Telephone Company, the British Post Office and many other carriers. The Erlang C Formula provides a tried and tested way to calculate the number of staff for a time interval, based on a set of assumptions. The Erlang model is used in telephone traffic modelling to determine the required number of staff based on the forecast workload for incoming calls, together with other variables such as desired service level (percentage of calls answered within a given number of seconds). 2. How does the Erlang Formula work? The Erlang C formula takes into account the number of agents available, the number of queued calls waiting and the average amount of time it takes for each customer. It also considers the random arrival of calls into the centre, as well as the “hold for the first agent” queuing that typically takes place. Erlang C can also calculate the resources that are required to maintain waiting times within the contact centre’s target limits. The formula is quite involved and is sufficiently complex to prevent manual calculation. 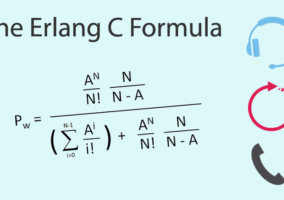 We have written an article on the Erlang C formula including a worked example. It is normally carried out by an Excel spreadsheet. Customers want convenient service with what appears to be unlimited agent availability and no call waiting. Of course, this isn’t realistic. The goal of staffing calculation is to have the correct number of agents on duty at all times, with no under- or over-staffing. An Erlang C calculator can take the guesswork out of agent performance, the average speed of answer (ASA) and resolving the customer’s requirement. Erlang can be used to determine the number of agents required to handle incoming call volumes with the time taken to answer calls, by interval – typically down to 15- or 30-minute intervals. 4. Which areas of the contact centre can it help to improve? Erlang C is perfect for calculating staffing in centres with inbound, ‘abandoning’ contacts such as calls which are handled by the first available agent. The Erlang formula assumes that the calls are homogeneous and the agents have effectively one skill. It was, after all, originally developed to work out how many switchboard operators were required to put callers through at telephone exchanges. Most workforce management solutions include a built-in Erlang C-based staffing calculation. 5. What are the main problems with Erlang calculations? Erlang calculations assume that there are no lost or abandoned calls and that the customer never hears the engaged tone. Of course, this was valid in a 1920s telephone exchange but it is unrealistic in today’s call centres. If we feed Erlang with the total number of presented calls – including those that abandon – it may overestimate the number of agents required and underestimate the service level that will be achieved. It is good practice to carefully check the statistics that you are using and not to regard forecasting as a ‘black box’. You should check abandoned call statistics to find the size of the problem before deciding on the best volume metric to use for the Erlang calculation. If the number of abandoned calls is relatively small, it is safe to use Erlang as-is. If the number of abandoned calls is significant, it is tempting to deduct 100% of abandoned calls from total offered calls when applying the Erlang calculation. This is usually a mistake, since in doing this, we are planning to have abandoning calls. A better idea is to deduct the number of calls which abandon after a short delay (e.g. 10 seconds) to eliminate ‘wrong number’ and other invalid calls from the staffing calculation. Erlang was designed to handle inbound calls only. It was not designed to calculate staffing for non-abandoning contacts such as emails, back-office work and social media. Erlang can be applied to contacts which have some of the same characteristics as calls, such as webchat. But even here, Erlang is not a perfect fit. To properly calculate staffing and schedule multiskilled agents requires industry-strength maths and optimisation algorithms and, sadly, Erlang C does not handle this very well at all. For a proper solution in a multiskill environment you will need to look at a workforce management system (WFM). 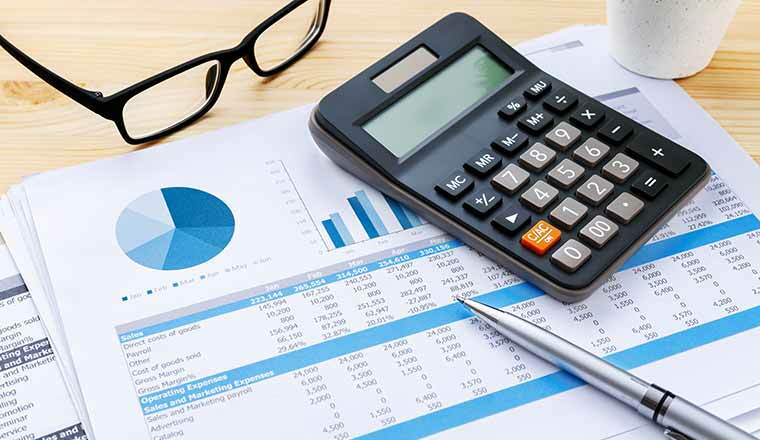 It is not really possible to plan for multiskilled agents reliably and efficiently with Excel. It is critical that shrinkage is applied to the net staffing figure to understand your total staffing requirement. You can also test the number generated by the Erlang calculation against a real-life instance, e.g. busiest hour of the day (between 10 and 11 last Monday), to understand any variances. Remember the formula is only as good as the assumptions used. Variances in forecasted contact will obviously make a difference, but you will also be amazed how little the AHT needs to change to make a significant difference. A 10 second increase in AHT across the 1,000 calls delivered in that interval soon increases your required FTE! It’s also critical to know that wait time is required to achieve a service level, to factor the random-arrival pattern of calls, and that when contact volumes are low you can end up staffing for opening hours not demand. 6. How much should I budget? 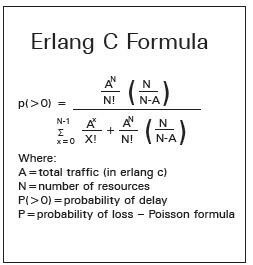 Numerous free Erlang calculators are available on the internet and these can be used to apply the Erlang formula without decoding the rather scary formula. Alternatively, if you are staffing your contact centre with multiskilled agents, cloud computing has made applications like WFM affordable and easy to implement. Many thanks to Phil Anderson at The Forum and Chris Dealy at injixo (left to right) for providing the information for this article. I would not advise extending the time to discount abandonned call to 20 seconds. I typically work on 5 seconds. The main reason why people extend the duration is to fiddle their Service Level results (see this article). 5 or 10 seconds gives enough time for someone to know if they have made an error in dialling (e.g. dialled the wrong number).